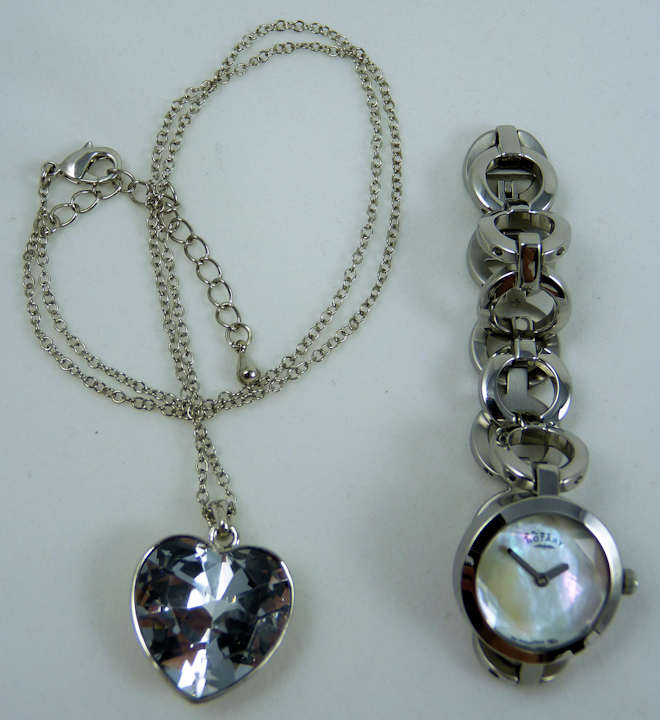 A beautiful Ladies Designer Dress Watch with matching Facetted Pendant and Necklace. 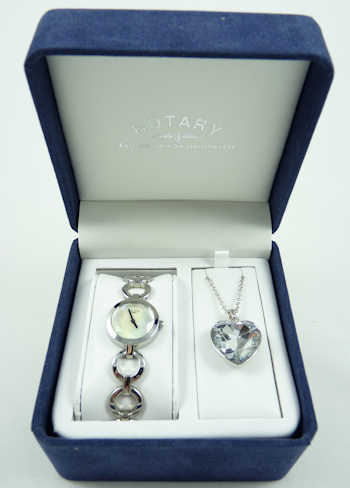 This is a stunning modern Ladies Dress Watch and Pendant set, which will make your lady (or yourself) feel like a MILLION DOLLARS !!! 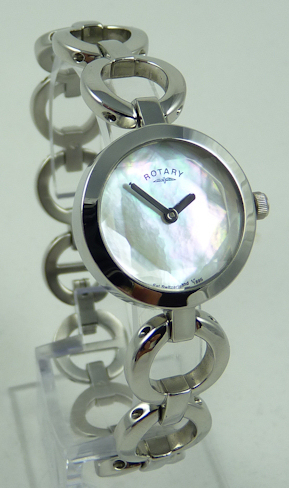 A beautiful dress watch with stainless steel bracelet and 'invisible' Rotary branded clasp makes this set a wonderful gift that will be appreciated every time it is worn. 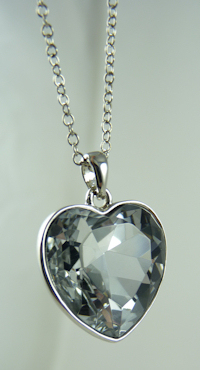 Set contains matching facetted pendant and necklace. 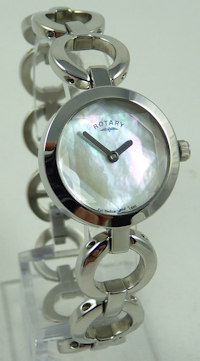 Mother of Pearl Watch Face. 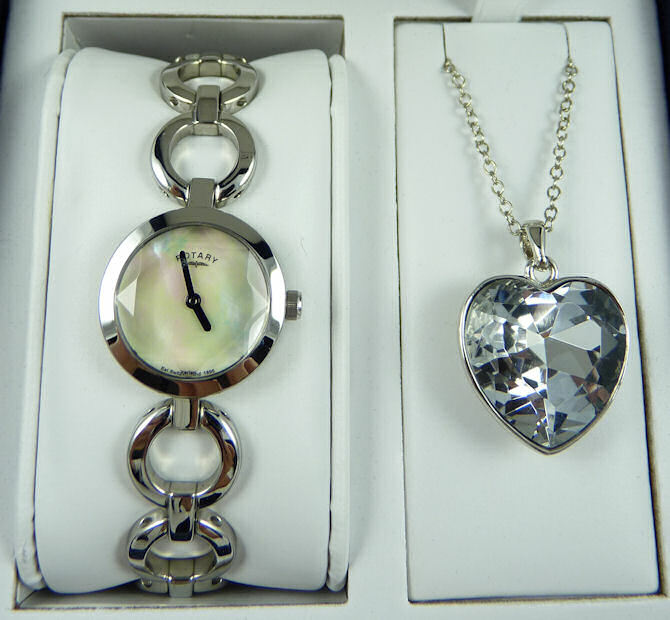 Please note: These watches are ex-display or customer returns direct from a major UK retailer and as such will have been opened to check all items are correct and working, there may be some very minor blemishes on the boxes or packaging. I try to describe the items as best as possible, if you have any questions about any specific item please e-mail before bidding and I will be happy to provide any additional information I can. These watches are offered with a full 5 day refund (excluding postage) so you can buy with confidence.